Essence Gilbert, left, and Mary Catherine Coltrane, right, learned Thursday they had earned All-State cheer honors. Mary Catherine Coltrane and Essence Gilbert learned Thursday they were among 36 cheerleaders from North Carolina high schools selected for All-State Cheer Team. 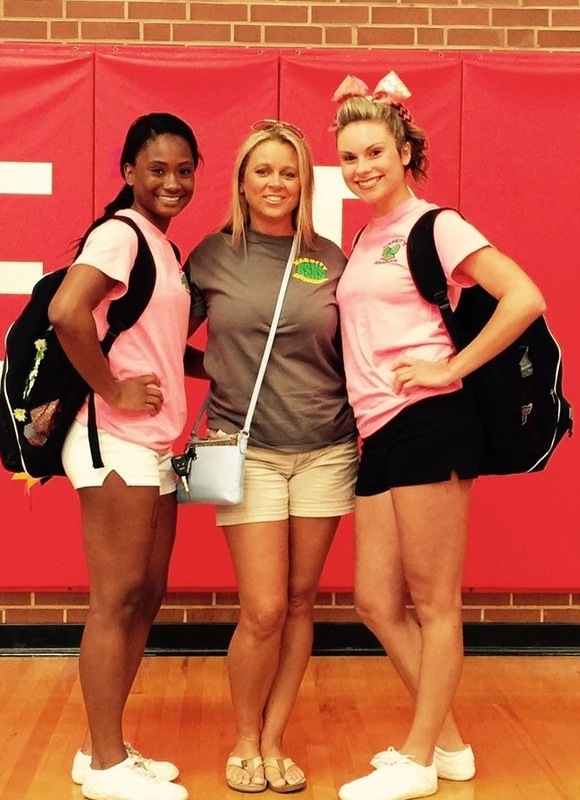 After being nominated for All-Region by Richmond Senior High School cheer coach Meredith Hood, the two student-athletes submitted a video demonstrating cheer, dance, jumps and tumbling. Both girls were selected to All-Region and then invited to tryout on May 17 for All-State at Southern Alamance High School. They competed with 71 girls in the categories of cheer, dance, jumps, stunting and tumbling. As members of the All-State Cheer Team, they will spend five days in Greensboro in July where they will work on choreography and then perform at the basketball game, coaches’ conference and football game.